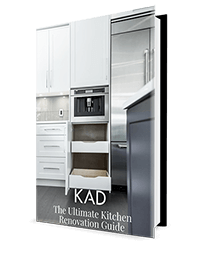 You’ve got your dream kitchen design plans in mind, you’ve solidified your remodeling plan and consulted your favourite design magazines and online style influencers to give you confidence in your choices. You’re beginning to see the light at the end of the proverbial planning tunnel when the concept of financing pops up. There are a handful of ways to comfortably finance a kitchen renovation, and finding the right one is often not so much a case of affordability, but rather creating the financial flexibility and peace of mind you need to feel great about springing for the extra finishing touches and polished appeal you’ve been visualizing for months. In this post, we’re taking an in-depth look at how you can use different modes of financing to renovate your kitchen. Ideal for small renovation projects or upgrades like refacing your kitchen cabinets of replacing older appliances for modern units with widespread aesthetic appeal and efficiency, using savings or a lump sum of cash you’ve stashed away for a rainy day is a great way to avoid the relentlessness of interest rates and borrowing fees. Further, when you use cash the renovation is paid for, free and clear - no lingering monthly payments to worry about means freedom from financial worry. If you’d like to go the cash route but don't have access to liquid capital, consider selling off some assets to free up cash flow. You’d be surprised to learn how much we hold onto that’s better off used in other ways why not finance your interior design dreams with the money freed up from the dirt bike you never ride, the piece of art you’ve had stashed away in the crawlspace, or the wealth of trinkets and collectibles that have been piling up in the garage? For small renovation projects or medium-sized overhauls of the kitchen, you may wish to consider going the route of a low/zero interest promotional credit card. Sometimes, you can also benefit from a similar credit card options from your local hardware department store. Companies like Lowe's, Rona, and Home Depot often feature zero interest or don’t-pay-for-six-month type deals to customers who purchase their renovation supplies from them. These types of deals are great for infrastructure upgrades as well, like addressing plumbing issues, painting the house, or less expensive routine maintenance like tiling jobs, new flooring, lighting, etc. They work by allowing you to purchase the supplies you need on credit, with a time period following the promotion allowing you to pay off your purchase without accruing any interest - but buyer beware - once the promotion timeframe is over, the standard rate will apply to payments made afterward. The advantage to these deals is low cost, while downfalls include a short payback period and the fact you’re subject to wait for the promotions to happen; you’re largely left waiting to fulfill your renovation plans until one becomes available. Medium sized projects in the kitchen can include upgrading custom cabinetry, adding high-efficiency appliances, or replacing windows. You can opt to consider applying for a personal or unsecured loan for a kitchen remodel that’s slated to cost you between $15-$50k. These types of loans come from credit unions, banks, and peer to peer lenders, offer borrowers the advantage of not having to pony up collateral. Their low-risk for borrowers in this regard, but often come with a slight downside - higher interest rates thanks in part to the risk being placed back on the financial institution itself. Advantages for borrowers include faster approval times than their secured loan counterparts, as validating the value of presented collateral takes time. These types of loans are viable options for those interested in real estate investment, who may need to flip or stage a property in a short amount of time and don’t want to wait for the bank to validate a secure loan. The other side of that coin is the secured loan. 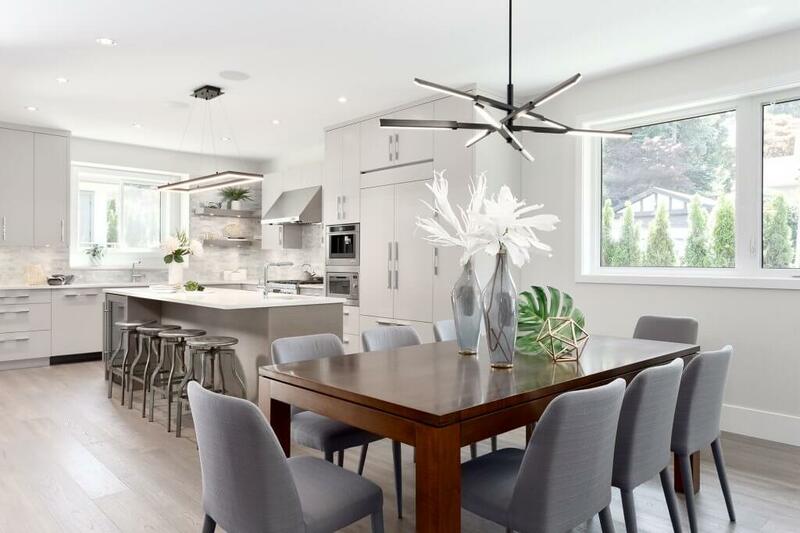 This is generally reserved for larger renovation projects that are valued at upwards of $50,000 - typically on homes that are not habitable, derelict properties, or homes that are in need of a complete overhaul from the bones, out. They can also be of use for homes seeking financing for a top-tier, no-holds-barred kitchen renovation project that doesn’t cut any corners. For a secured loan, banks or other financial institutions will require collateral - typically in the form of a vehicle, the home itself, or other real estate like a vacation home. Depending on your credit score, your income, and the amount you’ve requested, borrowers benefit from more manageable and affordable monthly payments at a reduced interest rate, while simultaneously balancing losing the asset they’ve put up as collateral. No worries if you’ve planned accordingly. For playing the long-term home renovation game, a cash-out financing deal may be a good fit for you and your renovation plans. In this scenario, borrowers opt to refinance their mortgage based on the appraised value of the home, extracting equity from the amount. Cash-out financing is a great way to access cash to pay off student debt, credit card debt, and other types of consumer debt - but it’s also a good way to free up cash to tackle a dedicated kitchen renovation - especially when you consider the appraisal amount that’s secured your loan in the first place only stands to increase as you remodel and upgrade the home itself. A popular choice for those 62 years of age and up, a reverse mortgage allows borrowers to withdraw cash to finance home renovation projects, make purchases, and finance their remodeling plans as desired - either as a way to enjoy the space more, or to prepare the home for potential sale on today’s reals estate market. Reverse mortgages work by allowing seniors to access a portion of the home’s equity while using the home as collateral, and typically doesn’t have to be repaid until the last surviving homeowner moves out of the home in question permanently, or passes away. When that happens, the estate usually has a short time period of around 6 months to pay back the remaining balance or sell the home to satisfy the balance owing. Senior homeowners don’t have to worry about monthly payments but are still required to pay homeowners insurance and property tax fees. Financial management and planning is an important aspect of how financial institutions decipher inspired risk management tactics, so putting some thought into how you’ll finance your plans is an excellent way to iron out any bumps that could slow your dream kitchen progress.